"Crazy-ism" seisaku iinkai, 2011.4.16, Color, 80 mins. 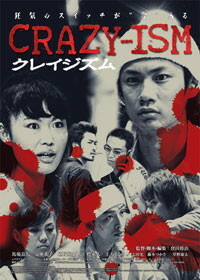 Plot: Youhei approached Kazunari with a proposal to rob an old man of his money. Kazunori approved this plan. They asked Chie, Mina and Tatsuya to join them. Their scheme was a great success. They gathered to distribute big money, but they started being divided among themselves.